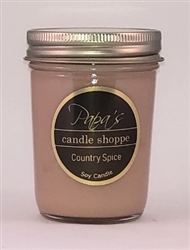 This 8 oz jelly jar of Country Spice is the aroma of fresh spices from the warmth of cinnamon to the tang of clove. Smells like someone has been at work in the kitchen. 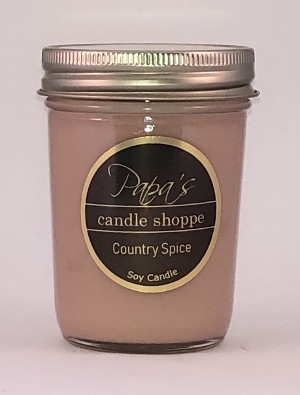 Why Buy A Papa's Candle Shoppe Candle?